Happy Birthday, sweet girl and amazing mommy. 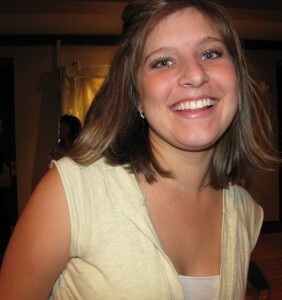 Happy Birthday to the one daughter God gave me who was not a moment of work for me: just a gift! Happy Birthday to the wife of my son’s youth, the daughter-in-law, who like Naomi’s daughter-in-law, Ruth in the Bible, is better to me than seven more sons could ever have been. I am blessed among women. I am blessed that you are mine by the choice my son made. I am so pleased with you, Jovan, so proud of the young woman you are becoming. I know God chose you from way back when for Rocky. And though I did not give you birth, you are my beloved daughter. I thank God for you and I am so glad He chose you for our family. I love that you say you wanted to marry Rocky since you were 14. I love that the long, winding road of life brought that to pass. I love that the two have you have brought us Averi and soon her sibling. You are a life-giver in our midst! And Jovanie? I know for sure that God heard that prayer and began even then to prepare you for our family, to get you ready to be one of us. You were born to be a Rhoades, sweet girl, my daughter and my friend. And I love you so much. 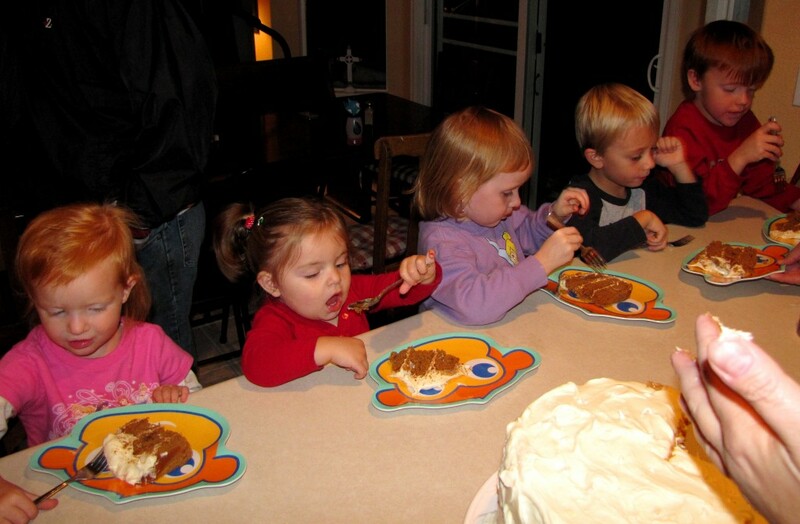 Jovan loves her sweets…and so does her daughter and her nieces and nephews (the five little monkeys)! Look at the sun shining today! It is for your birthday. It is so you can have a happy, happy day! I wish for you to have a great pregnancy all the way until baby-number-two is born. I hope these months will be full of fun and laughter and anticipation and your memories warm and happy of these days. You are so cute pregnant, girl! Enjoy crazy-romantic-love with your man. These are baby-days and busy-days, but keep the fires burning. May Rocky love you like a real man should and may you receive it with unabashed joy! 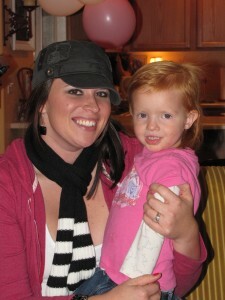 I wish for lots and lots of happy mommy-daughter times with Averi…Gilmore Girls reruns and Cinderella watching! Jovanie, I pray for you to know Jesus in a closer way than you ever have. Let this year be a year of discovery: finding out who God really created you to be and what He has really called you to. I am wishing for a gazillion kids, but no multiple births, as you wish. But you guys make beautiful babies! May God enlrage your heart with an even greater capacity to love and be loved. I am praying for deep relationships for you. I am praying the connections and relationships you have, both friendships and family, will develop and grow and be life-giving and true. And I pray God sends you many new friends and puts people in your path both to bless and be blessed by. I wish sweet times of scrapbooking for you. Those will be hard to come by right now, but I am going to wish for suprise pockets of time for it, anyway. I know you love it. My wish for you is to find your own beat and to be unapologetic about marching to it. Jovan, I hope you will understand that you were called to us and will never be afraid to change us and impact us. That is why you’re here! I am believeing God for financial blessing. They always say you can’t get rich in ministry, but the Lord is your Provider and you guys are rich, but I pray for sufficient funds for planning for the future and raising your family. I want you to get the house you want, too! May your creativity continue to blossom and sprinkle color and light and life on everything you touch as you create home and memories for your little family. I wish for those traveling adventures that you and Rocky love so much to happen a lot over the next year. I also wish for special days, holidays, holy days and romantic nights to be festive and memorable. I pray you’ll find the ministry you were born to do and that the ministry things you and Rocky were created to do together will be fulfilling and sweet. Girl, let me hang with your babies so you can go out without a diaper bag sometimes! Shop. Or whatever you want. I love Averi! Can’t wait for the new little bundle! Happy Birthday, Jovanie. May there be great and growing joy-of-the-Lord in your heart. It will be your strength! I am wishing for long nights of sleep, and happy days of rejuvenating living for you. I am praying for the enemy to have to flee as the perfect love of the Lord drives out all fear and trepidation in your life. You are strong, Jovanie, in the Lord. Don’t be afraid. And? May heaven hear and answer your prayers as you call out to the God who loves you greatly. You have His ear, my sweet. He is attentive to your heart’s cries. 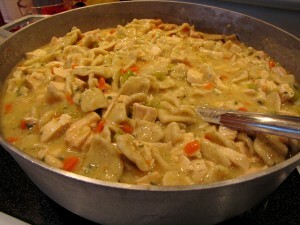 Chicken and dumplings at Jovan’s family party, her request. 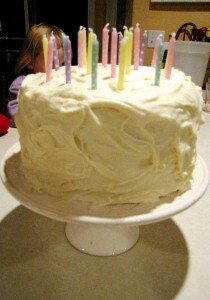 Stef and Gemma, 2 pinkies in the pink and white decor; the pumpkin spice cake with 23 candles. NOTE TO SELF: Me. Jovan. Creating our legacy books with scissors-in-hand, tape and glue and piles and piles of photographs. 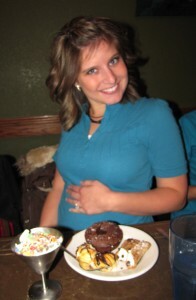 Happy 23rd Birthday beautiful, loving, kind, funny, smiling, pregnant Jovan! You are very loved!!! HAPPY HAPPY BIRTHDAY JOVANIE.~~~~I “KNEW” YOU WERE TO BE IN THE FAMILY WAY BACK WHEN YOU AND ROCKY WERE SITTING BY THE MERRY-GO-ROUND THAT TIME. REMEMBER? ….AND HASN’T IT BEEN A GREAT AND MERRY–GO ROUND? Mom, you are such an amazing woman and I truely hope and pray that I can be the most amazing mother in law to someone one day like you are to me! If that makes any sense! I Love you so much and I am sooooooo proud to be a Rhoades!!! Ah I am so blessed by you! Thank you for raising such an incredable son for me to marry!!! I love you mom! Happy Birthday Jovanie!! I was just remembering my 16th birthday when I was sad I didn’t have a boyfriend(I am glad now! Anyone I liked then would have been ridiculousness! )…and you brought me flowers and a whole bag of Starburst…you are the best! Thank-you for celebrating every birthday with me for the last 7 years and I can’t wait to celebrate every birthday with you for the rest of our lives! I love you so much and pray that this first year of being a “real” adult(ha!) is blessed beyond what you could ever imagine! I hope that you had a great weekend!! Happy Birthday, sweetness! We love you a ton. Thank you for loving my bro so completely and for being a sweet and loving sister! Sorry this is so late. But I love you and I’m super glad that you were born and you said yes to me! You are the woman of my dreams and I realize that more and more everyday. What a fun adventure we have ahead of us in our lives. I’m slammed everyday with how beautiful and sweet you are. I don’t know why God blessed me with You, but I’m so,so,so,so thankful he did! I’m so blessed that you are the one I get to show love to everyday, you deserve it! I love you hunny, Happy Birthday.